The Famous Broadway Coast-to-Coast Stage Hit Hilariously Hits the Screen! Ruth Sherwood: [reading from the sample package of 'Natures Broom', a fiber cereal] "Delicious with strawberries and cream". Humph, what isn't? This is a little gem, charming and fun. 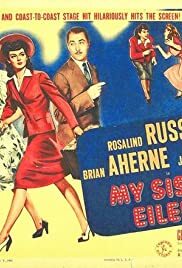 While the title character is played by Janet Blair, Rosalind Russell steals the film from everyone else. She is delightful throughout. The movie has a great supporting cast who score in individual scenes but they all revolve around Russell like the planets around the sun.